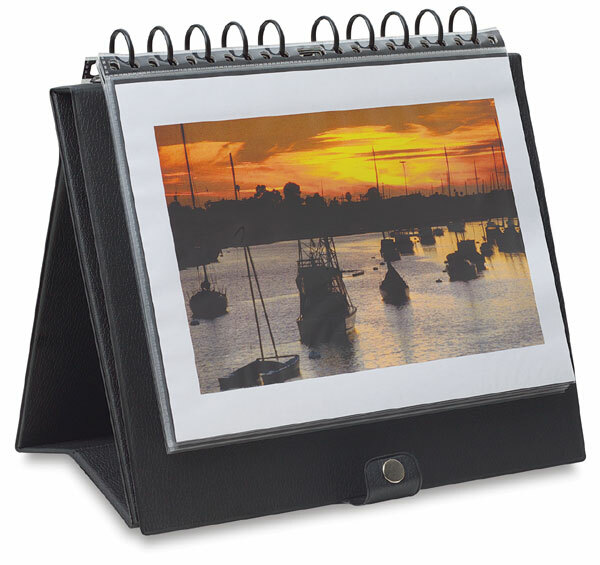 These traditional pyramid-style, landscape easel binders feature laminated vinyl covers with a black grain finish, snap closure, and a handle on the spine. They include 10 transparent, archival, acid-free polypropylene pages with acid-free black paper inserts. The binders accommodate all brands of archival refill pages.